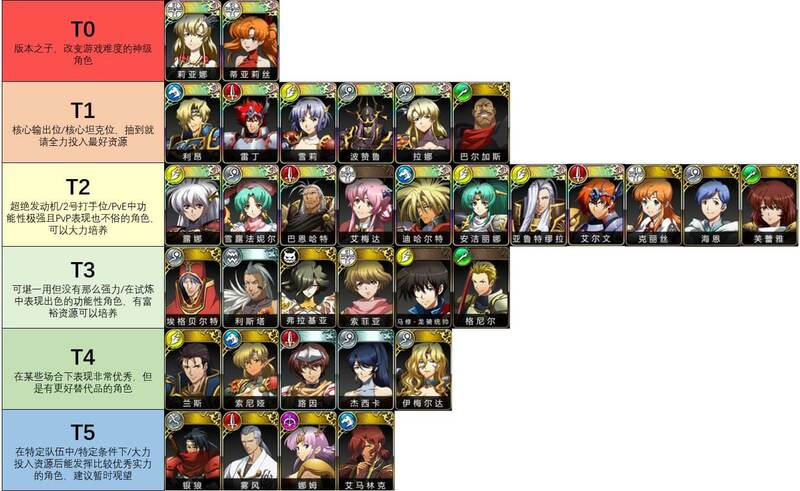 This Langrisser Mobile tier list is a very early tier list that was constructed from players who played Chinese version for a long time. Rather than that, this Langrisser Mobile tier list is still not 100% correct and accurately reflect the current state of the global version of Langrisser Mobile game. Therefore, please consider this tier list is only used merely for referencing purpose. Updated Langrisser Mobile tier list will be updated when there are enough time to evaluate the value of each character. You can also check the Useful Resources below for a more in-depth guides, composed by some very well-known and experienced players in Langrisser Mobile community. 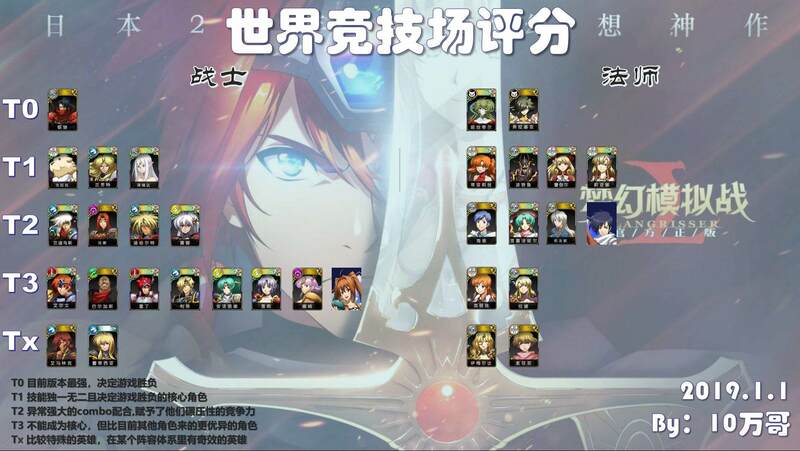 Nothing much for now, this is the basic only Langrisser Mobile tier list table along with the tier list image for the Langrisser Mobile tier list made for Chinese players. Early evaluation. Tier o (highest) to Tier 5 (lowest). In Langrisser you cannot expect to win each and every battle with the same team and there is no META. As a re-roller, it is best to reroll for a hero of your choice. Buying the Monthly Blessings has many benefits as you get EXP potions & Daily gems, extra bonus treasures daily for Gym’s & Goddess Trial, and even helps you to make a comeback with access to Time Bell if you make mistakes in the battle. It is not necessary to follow or believe every guide you see on the internet. You can always try it your way and experiment various other ways to play the game. Once you go pro you can share your guide and experience as well. Level 35 is when the game starts to take up speed and the game level becomes tougher and more difficult. Every hero gets affected by the Fusion Power Buff’s. Because by the 3rd class, all hero get access to it for their faction. You must build a harmonious and balanced team instead of depending on the SSR’s on the battlefield. Another good tip is to make sure to complete the dailies in order to get gems, especially if you do not like to spend money on buying the gems from the game store. The game has 2 provisions of 200 bonus stamina and Big Bro Burger x2 when you log in. The specific timings for the first login from 12:00 AM – 11:59 AM CST followed by 2 more bonuses at 12:00 PM – 11:59 PM. Don’t sweat too much even if you cannot make it on time for the joint battles that happen daily. You can always wait for the next one. 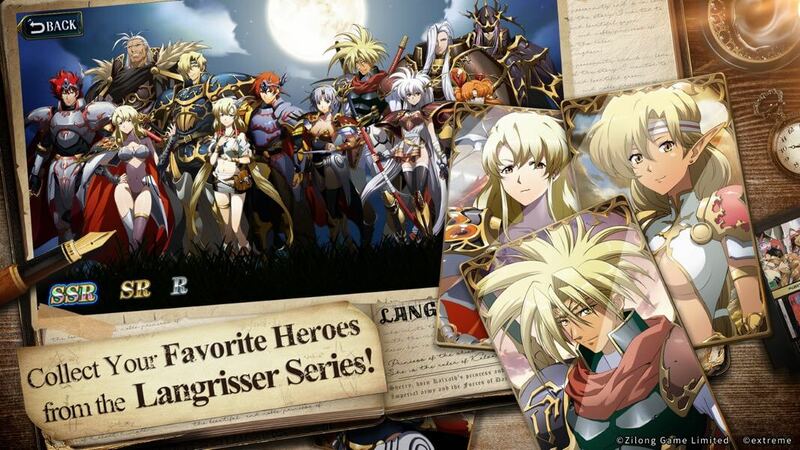 Now, the heroes part in this Langrisser Mobile beginner guide. There are three main types of Heroes you can have, those being those of the R, SR, and SRR rarities. This is an indication of how easy they are to get via the game’s method of obtaining them, summoning, and so R are the majority of results, SR are uncommon but not too hard to get, and SSR are the really rare units in the game that take a bit more luck to obtain. In some games SSR units would be the only ones worth using, sort of forcing players to spend money trying to randomly summon them, but in Langrisser this is not the case: R and SR units can be just as useful as SSR units even if many SSR units are still among the top ones in the game. SSR units will have a bit more stats (not oppressively so, but more) and they tend to have a bit better of a buffing ability to members of the same faction as them, but many SR and R units have special abilities or stat distributions that make them perfectly usable as well. Each Hero has access to specific troops it can bring to battle which serve as a buffer that will shield them from damage as well as augment their power, stats which differentiate them from other units, a unique passive ability only available to them, classlines specific to them with a variety of skills that can vary even by class to further their flexibility, and can hold four pieces of equipment to further customize them. 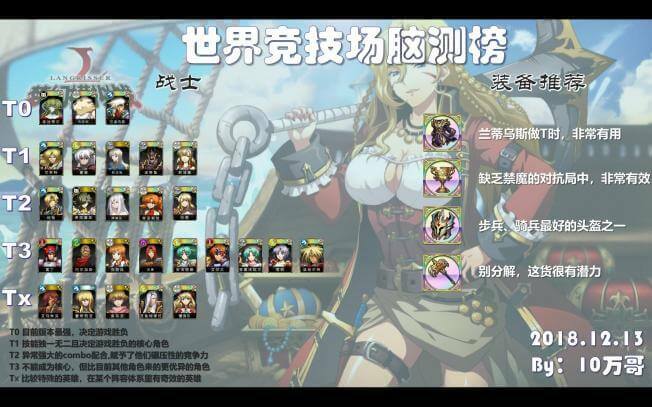 This is part of what gives the game its strategic depth and what has helped keep it from having powercreep so far, as power is spread so far out between all of these things that you can have R units on par with SSR ones just because they have a powerful passive. You can give anybody good enough equipment and make them strong, but how varies by the hero and equipment. There is a lot to work with in Langrisser Mobile, and many ways to make certain things work, so find a way which feels right for you throughout this Langrisser Mobile beginner guide. Most of these are self-explanatory, so I will only go over them briefly in this Langrisser Mobile beginner guide. The game will give you a general idea of what Hero is suited for what stats/role by a letter grade (S-F) next to each stat. Since there are no IV’s like certain other games what you see is what you get. HP: Your Hero’s total Health Points. Attack/Intelligence: Your Hero’s ability to deal damage with either physical or magical damage. Defense/Magic Defense: Your Hero’s ability to take damage from either physical or magical damage. Skill: The one tricky stat, in that it increases your chance of scoring a critical hit and lowers your opponent’s, or vice-versa based on who has the better crit chance. There is also a hidden stat that is basically priority, and it is based on Class, so just be wary of that fact. It’s a bit complex, but basically assassin characters hit first, others hit later. This matters because if you kill someone before they can hit back with all their force you can minimize the damage you take…but the same can be done to you, so be wary of high priority attackers since while it seems you attack simultaneously there is actually a slight delay in certain units retaliating to others. Ones of the same priority hit at the same time though. Langrisser is a bit like the old strategy video game series known as Advance Wars in that you have regular forces that do battle with one another, not just commanding officers (Heroes). As such each Hero will bring with them Troops to battle which will fight enemies alongside them either to augment their strengths or to protect them from their weaknesses. Know you are going to be facing a bunch of cavalry that can run your mages over? Don’t worry, just slap some spearmen on there to prevent such a thing! Want to really kill some flying units? Well take some archer units with some of your units. Want your Cavalry Heroes to really run over infantry with impunity? Have them take even more Cavalry as troops! Troops are flexible like that, but to obtain them you have to have your characters go into certain classes to unlock them or undergo specific training in a game mode to obtain them. Once they are unlocked though you get to keep them, so feel free to mix and match as best fits your play style. Certain troops have specific passive abilities and their stats all differ, so they all have a purpose. Now, we are talking about classes and unit types in this Langrisser Mobile beginner guide. Like in many strategy video games certain types of units possess advantages over other types. What makes Langrisser different from its counterparts is that you can have a unit spec into various classes based on your preference, for all Heroes possess various paths they can go down which can change their stat distributions, the abilities they get, troops they unlock, and in some cases even what unit type they count as. There will typically be 3 routes you can choose from which vary from Hero to Hero, but once you choose a path to choose a new one you have to use what is called a Runestone: you will keep everything you gained from the previous classline, but you can then progress in a new one. Runestones are rare and not easy to acquire, so while doing this process will improve your raw stats (since maxing out a class grants permanent stat buffs to all future classes) you need to make sure to not waste Runestones on characters you will not use often. To change back to a classline you have already used before it just takes Gold, so you don’t need a runestone to go back to what you once were. In this way if you want to spec back into an archer path from your current infantry one you just have to pay gold to do so, so at most you ever have to spend 2 Runestones on a Hero to max out their potential. Some units, like assassins and water units, are neutral when facing others but have unique qualities which can still grant them an edge like assassins attacking first and water units being buffed in water. Make sure to read what abilities and benefits each classline gets for your Heroes before you choose a classline! Changing them is expensive after all, so if you aren’t going to invest in them choose their best pathway (for you) so they will always be at least useful as a sub-in.